After reviewing their recent release Tell Me, we were fortunate enough to catch an interview with Nicky and Emine SARI of Nothing But You, Nicky, to find out more about their collaboration and their creative process. Here’s how it went. Thank you so much for your time with this. How did Tell Me come to be, what was the writing process like during the collaboration? Nicky: Thank you! My Singer/Songwriter Emine SARI and I are just like twins. Through our daily conversations via phone we talk about life, especially LOVE. When I first listen to Tell Me, I saw my heart in the song. So it was easy for me to sing this song cause I just am myself to sing it from the bottom of my heart. Also, music producer Cihat Atlig and his arrangement set my heart on fire. Finally, music engineer and producer Joel Evenden completed to give a life to this song and I felt all our hearts became one just like the collaboration is a gift from Heaven. 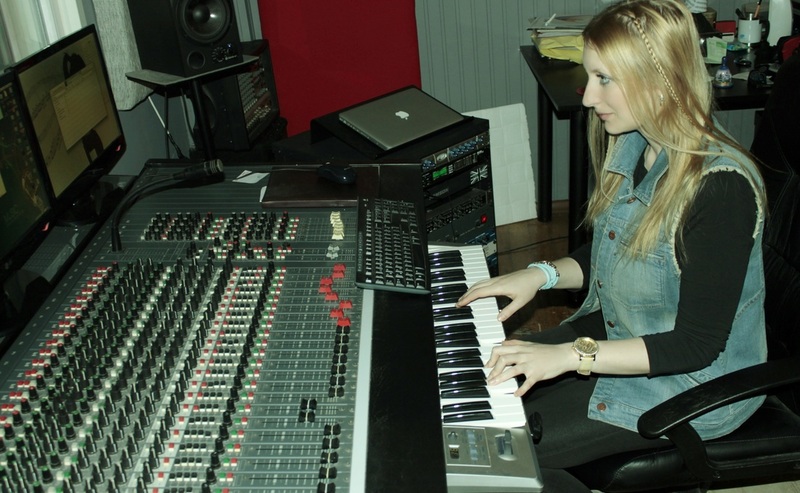 Emine SARI (composer): I laughed so much in that session. The two of us were. Most of the time it was laughing and it almost feels vulgar to call it work, because it didn’t feel like it at all. The best kind of writing collaborations that I’ve done are always conversations that lead to a song. So we of course shared influences with Nicky and a lot of stories and anecdotes and we talk about family and we talk about friends and we talk about our lives and then, out of that, comes an idea – it was already in my brain, it just needed to be revealed. What does the song mean to you, and does it feel different to listen back now or to perform it than it did when you first wrote or heard it? Nicky: This song is all about LOVE. There is no border or difference in the definition of true LOVE. So the emotion level has never been changed from the first I heard the song cause it’s already reached the highest point of love, but the quality of the song became better and better to touch all hearts of humans by our miraculous teamwork. E.S: Sometimes when you’re writing a song you don’t know what it’s about until it tells you. Often I’m involved in a songwriting session where I come away from it and I listen to it later and I think, ‘Wow, that was actually what was being said?’ And Nicky with her open heart sang it first, and her heart is giant and it makes our life as collaborators not just easier, but really joyous. Because I’m receiving it in a different context from where it was created after listening to the final record. Who or what inspires you to create in such a way? Nicky: There are so many artists who inspired me as a singer, such as Whitney Houston, Celine Dion, Lara Fabian and Ella Fitzgerald if I had to choose. E.S: It’s like every year I’m constantly having to improve myself. I’m not complaining – it keeps me motivated. Nicky’s voice was my inspiration for this song! How important is live music, in your opinion, and will you be performing live shows to promote the new release? Nicky: With thousands of gigs and concerts taking place every day around the world, the live music industry has never been more popular and with fans eager to enjoy the unique experience of seeing their favorite artists performing their favorite music live, the global business is one of the most vibrant parts of the entertainment sector. ‘Seeing is believing’ – my body language with voice is a universal language. No need to talk or explain…just singing from my heart does everything. Yes, I can’t wait to see everyone on my show!! And Can’t wait to perform all upcoming Greatest songs all over the world!! Nicky: We are working on my new album to release in early next year which will be completed at the Abbey Road Studios in the UK, features collaborations with my miraculous team. We will share the amazing and most wanted feeling MUSIC to the world! Stay tuned, it’s coming soon!! A huge thank you to the band for their time & for being so open with us. Find & follow Nothing But You, Nicky on Facebook, Twitter & Instagram. Visit their Website for more information.